What are the causes of diabetes? 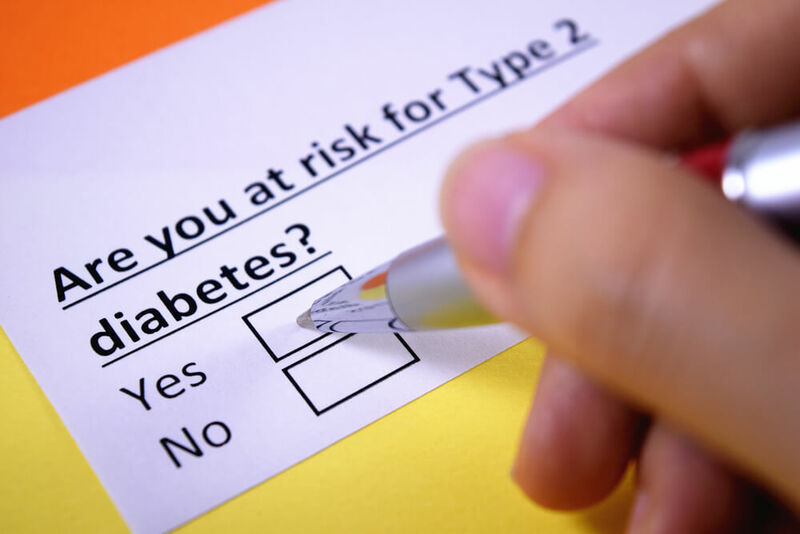 Who is at risk for Type 2 Diabetes? Diabetes is a rising epidemic not only in the United States but worldwide. There are many different factors that diabetes can be blamed on but even more importantly these factors lead to many causes of diabetes. Understanding the underlying factors and causes of diabetes type 2 can help you and your loved ones take the correct steps towards reducing the risk of developing type 2 diabetes. How do you get diabetes? What are causes of diabetes and what is the difference between type 2 and type 1? These questions and more will be answered and more, continue reading to find out the answers. Type 2: How Do You Get Diabetes? Type 2 diabetes is the most common type of diabetes. This is because type 2 diabetes relates directly to the blood sugar levels in the body. These levels affect not only the energy but also the way the body creates insulin to control these energy levels. When you have type 2 diabetes, the body is unable to use insulin correctly to convert sugar into energy which is called insulin resistance and can create high levels of sugar in the blood. On the other hand, type 1 diabetes, the body is unable to produce the correct amount of insulin therefore leading to the need to give the body the insulin it needs. One of the main causes of diabetes is being overweight. This can be proved because nearly 90% of people who have type 2 diabetes are overweight. Unfortunately certain lifestyles and choices lead to gaining weight which can raise the risk of developing diabetes. This doesn’t mean that being overweight is the center of the causes of diabetes, there are other factors to be considered. Other factors that lead to causes of diabetes type 2 are age, family history, ethnicity, blood pressure levels and high levels of triglycerides. Here are a few ways to measure weight and it’s relation to the development of type 2 diabetes. If you believe that you, or a loved one, are at risk of developing type 2 diabetes, speaking to your doctor about your concerns is a great way to get ahead of the condition. BMI – The Body Mass Index is a way to tell what mass of your body is fat and can be calculated by dividing weight in pounds by height in inches squared. Then take that number and multiply it by 703. Not everyone’s BMI can be measured in the same way but in general a BMI between 18.5-24.9 is healthy, 25-29.9 is overweight and 30 or more is obese. Measure Waist – Using a tape measure, measure the circumference of the waist without a shirt on at the same level as the belly button. A waist that is larger than 40 inches for men and 35 inches for women can be a factor considered in the causes of diabetes. Waist & Height – A general rule in avoiding heightening the risk of diabetes is measure your waist and make sure it is less than half of your height – both in inches. Waist & Hip – Another rule if avoiding heightening the risk of diabetes is to measure your waist around the smallest spot between hips and ribs and then measure your hips around the widest part across your bottom. Then take the number of your waist and divide it by your hip measurement. Waist vs hip should be less than .95 for men and .80 for women. If you’re wondering how do you get diabetes, after reading this message you may notice that it doesn’t just depend on weight, although weight can play a major role. Causes of diabetes type 2 can be inherited but eating right and exercising as well as regular trips to the doctor can help avoid early onset of the condition. Speak to your doctor about your medical concerns and work together to make a plan to stay diabetes free. For more tips, information, and recipes to live your healthiest life, visit BetterHealthKare.com.